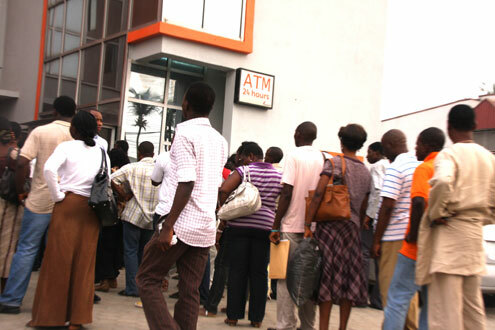 Being able to Link your BVN to your GTBank account online can be attained without having to go to the bank. Here, I will show you how. CBN initially declared a deadline for Bank Verification Number (BVN) registration as October 31st. That has however, been extended. This means enough time for you to quickly fix this up if you haven’t already. While the date has been extended, accounts that hasn’t been registered or linked with a BVN number has been limited till registration or linking is complete. Earlier before now, I shared a tutorial on how to verify your BVN number using your mobile phone. If you have already registered for a BVN number in any other bank and would like to link it up to your Guaranty trust bank (GTB) account, you don’t necessarily have to go to the bank. You can simply link it up online or link it using your ATM card. There are two ways in which you can achieve this. You can either choose to use the GTB BVN linker or use the BVN linker when logged into your internet banking platform. Using the first method doesn’t necessarily require you being a GTB internet banking user while the second does. ==> If you do not have an active internet banking service with GTB and would link to link your BVN number with your GTB account, please follow this link and follow the instructions. 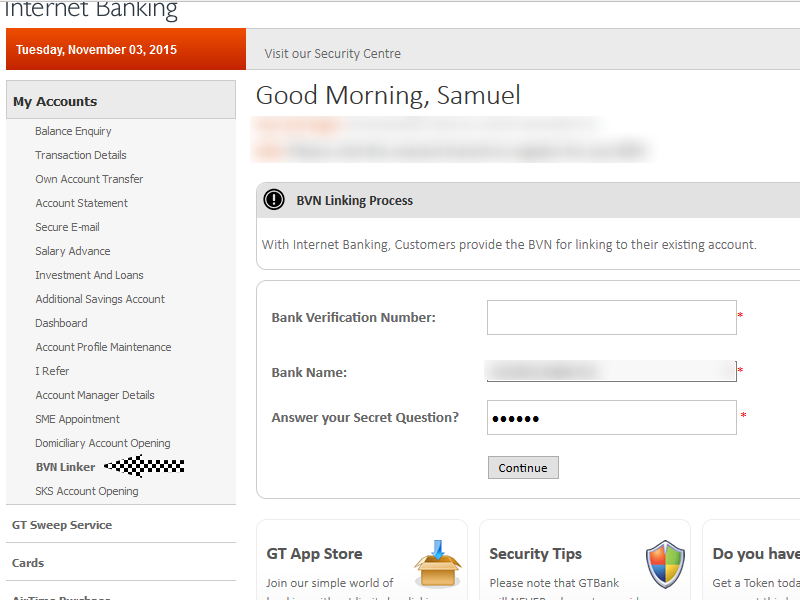 ==> In a case whereby you have an active GTB account, please sign in to your internet banking platform. You should use the desktop version. For this, i recommend using a computer. ==> When logged in, under the My Account menu, click on BVN Linker. ==> Wait for the page to open. When the page opens, enter your Bank Verification Number (BVN), the bank name where you registered and received the BVN from and then your security number. ==> Click on Continue and you are good to go. If doing this stuffs online isn’t your thing, you can opt in to using your GTB ATM card. It’s as simple as that. Having to queue up in the bank could be time consuming. This is certainly an option if you wouldn’t want to get entangled with the queue regularly experienced in the banks.